Priced below KBB Fair Purchase Price! 2016 Toyota Camry SE Creme Brulee Mica Clean CARFAX. CARFAX One-Owner. 6 Speakers, AM/FM radio, Brake assist, Exterior Parking Camera Rear, Fabric Seat Trim, Fully automatic headlights, Heated door mirrors, Illuminated entry, Panic alarm, Radio: Entune Audio, Remote keyless entry, Speed-sensing steering, Traction control. Odometer is 527 miles below market average! 25/35 City/Highway MPG Awards: * 2016 KBB.com 10 Best UberX Candidates * 2016 KBB.com 10 Best Sedans Under $25,000 * 2016 KBB.com 10 Most Awarded Cars * 2016 KBB.com 5-Year Cost to Own Awards * 2016 KBB.com Best Buy Awards Finalist * 2016 KBB.com 10 Most Comfortable Cars Under $30,000 Stop by Peoria Toyota today at 7401 N Allen Rd, Peoria, IL 61614 to schedule a test drive or give us a call at 309-693-7000 to make an appointment. To view all available inventory please visit www.peoriatoyota.com. 2016 Toyota Camry LE Super White Clean CARFAX. CARFAX One-Owner. 6 Speakers, Brake assist, Dual front impact airbags, Exterior Parking Camera Rear, Fabric Seat Trim, Front anti-roll bar, Fully automatic headlights, Heated door mirrors, Illuminated entry, Panic alarm, Radio: Entune Audio, Remote keyless entry, Speed-sensing steering, Traction control. Odometer is 17423 miles below market average! 25/35 City/Highway MPG Awards: * 2016 KBB.com 10 Most Comfortable Cars Under $30,000 * 2016 KBB.com Best Buy Awards Finalist * 2016 KBB.com 10 Best Sedans Under $25,000 * 2016 KBB.com 10 Best UberX Candidates * 2016 KBB.com 10 Most Awarded Cars * 2016 KBB.com 5-Year Cost to Own Awards Stop by Peoria Toyota today at 7401 N Allen Rd, Peoria, IL 61614 to schedule a test drive or give us a call at 309-693-7000 to make an appointment. To view all available inventory please visit www.peoriatoyota.com. 2016 Toyota Camry SE Celestial Silver Metallic Clean CARFAX. CARFAX One-Owner. 6 Speakers, Brake assist, Dual front impact airbags, Exterior Parking Camera Rear, Fabric Seat Trim, Front anti-roll bar, Fully automatic headlights, Heated door mirrors, Illuminated entry, Panic alarm, Radio: Entune Audio, Remote keyless entry. Odometer is 7424 miles below market average! 25/35 City/Highway MPG Awards: * 2016 KBB.com Best Buy Awards Finalist * 2016 KBB.com 10 Most Comfortable Cars Under $30,000 * 2016 KBB.com 10 Best UberX Candidates * 2016 KBB.com 5-Year Cost to Own Awards * 2016 KBB.com 10 Best Sedans Under $25,000 * 2016 KBB.com 10 Most Awarded Cars Stop by Peoria Toyota today at 7401 N Allen Rd, Peoria, IL 61614 to schedule a test drive or give us a call at 309-693-7000 to make an appointment. To view all available inventory please visit www.peoriatoyota.com. Priced below KBB Fair Purchase Price! 2016 Toyota RAV4 LE Super White Clean CARFAX. CARFAX One-Owner. Brake assist, Dual front impact airbags, Exterior Parking Camera Rear, Fabric Seat Trim, Front anti-roll bar, Illuminated entry, Panic alarm, Radio: Entune AM/FM/CD/MP3/WMA Playback w/6 Spkers, Remote keyless entry, Speed-sensing steering, Traction control. 22/29 City/Highway MPG Awards: * 2016 IIHS Top Safety Pick+ * 2016 KBB.com 10 Best SUVs Under $25,000 Stop by Peoria Toyota today at 7401 N Allen Rd, Peoria, IL 61614 to schedule a test drive or give us a call at 309-693-7000 to make an appointment. To view all available inventory please visit www.peoriatoyota.com. 2015 Toyota RAV4 Limited Barcelona Red Metallic Clean CARFAX. CARFAX One-Owner. 6 Speakers, AM/FM radio: SiriusXM, Auto-dimming Rear-View mirror, Automatic temperature control, Brake assist, Dual front impact airbags, Exterior Parking Camera Rear, Front anti-roll bar, Front dual zone A/C, Front fog lights, Fully automatic headlights, Heated door mirrors, Heated Front Sport Seats, Illuminated entry, Memory seat, Navigation System, Panic alarm, Power moonroof, Radio: Entune Premium Audio with Navigation, Remote keyless entry, SofTex Seat Trim, Speed-sensing steering, Traction control. Odometer is 14723 miles below market average! 22/29 City/Highway MPG Awards: * 2015 KBB.com 10 Best All-Wheel-Drive Vehicles Under $25,000 * 2015 KBB.com 10 Best SUVs Under $25,000 Stop by Peoria Toyota today at 7401 N Allen Rd, Peoria, IL 61614 to schedule a test drive or give us a call at 309-693-7000 to make an appointment. To view all available inventory please visit www.peoriatoyota.com. Priced below KBB Fair Purchase Price! 2015 Toyota Highlander Limited Attitude Black Metallic CARFAX One-Owner. 12 Speakers, ABS brakes, Alloy wheels, AM/FM radio: SiriusXM, Auto-dimming Rear-View mirror, Blind Spot Sensor, Brake assist, Electronic Stability Control, Exterior Parking Camera Rear, Front dual zone A/C, Front fog lights, Fully automatic headlights, Garage door transmitter, Heated door mirrors, Heated/Ventilated Front Bucket Seats, Illuminated entry, Low tire pressure warning, Memory seat, Navigation System, Power Liftgate, Power moonroof, Radio: Entune Premium JBL Audio w/Nav & App Suite, Rear Parking Sensors, Remote keyless entry, Security system, Speed-sensing steering, Sun blinds, Traction control. 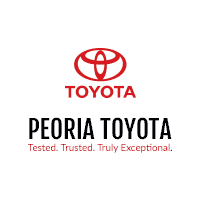 Awards: * 2015 KBB.com 15 Best Family Cars * 2015 KBB.com Best Buy Awards * 2015 KBB.com 10 Most Fuel-Efficient SUVs Stop by Peoria Toyota today at 7401 N Allen Rd, Peoria, IL 61614 to schedule a test drive or give us a call at 309-693-7000 to make an appointment. To view all available inventory please visit www.peoriatoyota.com.